Seminars held during International Phytosanitary Awareness Week. As part of the International Phytosanitary Awareness Week program, national and regional station heads of National Bureau of Plant Genetic Resources (NBPGR) of the Indian Council of Agricultural Research (ICAR) were invited to address ICRISAT scientists on 26 October. 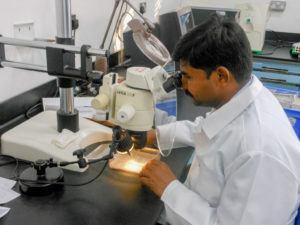 The article Preserving the genetic diversity of dryland crops for posterity: The role of phytosanitation sums up some of the work conducted by ICRISAT’s Plant Quarantine Unit (PQU) over the past few decades.